Artful Journeys LLC, formerly Tuscany: A Journey for the Senses LLC, is an annual arts education program designed to teach new skills, widen horizons and allow participants to experience art and culture of a region from an artist’s point of view. Originally based in the Val d’Orcia of southern Tuscany, we have now expanded throughout Europe and have also led workshops on Cape Cod. In 2018, we will be hosting a music tour to Norway; an art history trip to Provence and a cooking trip to the Parma, Italy area. So far, firm 2019 trips include art history in Italy and Provence, both led by Sevan Melikyan; a cultural tour to the Basque regions of Spain and France; a pipe organ trip with Joe Marchio; a painting trip to Portugal with Eli Cedrone; and a music trip to the Loire Valley with Jon Manasse and Jon Nakamatsu. Teachers and artists all are joined by a common thread: passion for their life and work, whether it be painting, music, sculpture, cooking, photography or wine. Class and tour sizes are usually small to provide a focused and intimate environment. 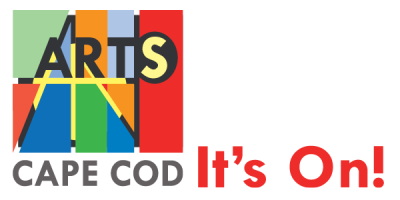 ArtsCapeCod is a nonprofit arts-marketing website, created by the Arts Foundation of Cape Cod, to serve Cape Cod's artistic community.